The "Harper," Wall Sculpture by DecorShore is a delightful addition to any room. This hand-crafted iron wall hanging features whimsical song birds amongst the bare branches of a Winterberry tree. 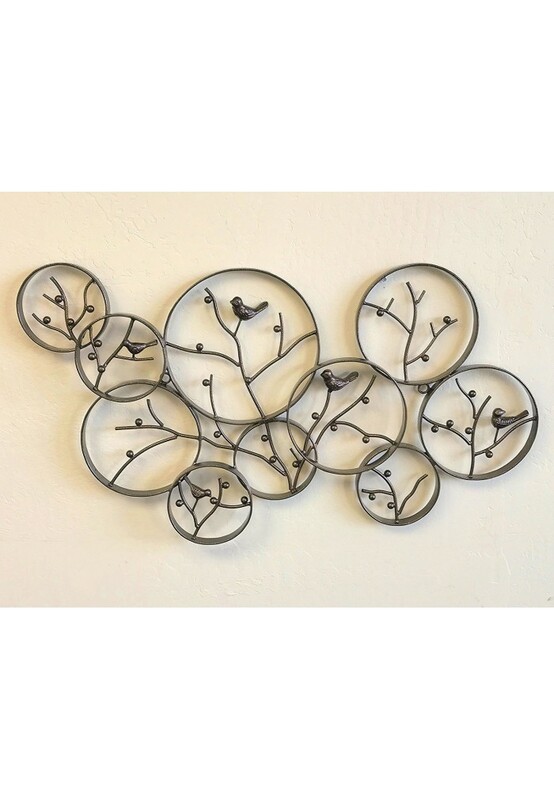 Intersecting circles add further visual artistry to this durable metal decor. 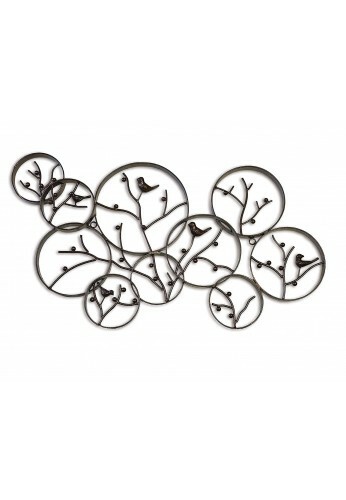 This makes nature inspired metal sculpture makes an excellent addition to any room. Check out our 5 Star seller profile and product reviews for other DecorShore products. You will find that quality, service and unique home decor and gifts are our specialty! Our artisans are metal experts. This item is 11 lbs. of galvanized iron. Do not accept light-weight imitations with poor metal composition. DecorShore stands behind the quality of our products. Contemporary, Nature Inspired Sculpture - Large Size - 31 in. x 19 in. x 1.5 in.